Following your customer through their shopping journey could give retailers an upper-hand in an increasingly competitive market, writes Vicky Katsabaris. There’s no denying it’s a challenging time for the retail industry. Recent ABS data showed sales increased by just 0.1% in January 2019, which were lower than expected and the latest in a series of disappointing results. It paints a clear picture of the state of Australia’s retail sector, where brands compete with online and overseas players for a share of the wallet among price-savvy consumers. In response to the challenges you might consider lowering prices. But this will only make the problem worse. Ultimately, it places you – and others – in a race to the bottom. Profits will eventually drop, and the quality of the products, services, and experiences you provide will suffer. This means you need an alternative to breakthrough and differentiate yourself. The answer is experience. And by changing the game you’re in, you’ll find yourself in a race to the top. We know that in today’s experience economy consumers are willing to pay more for a better experience. Research from PwC shows 42 per cent of consumers will pay more for a better experience – this figure increases to 52 per cent when it comes to fast and efficient experiences. The experience economy is best illustrated by Australians’ favourite hot drink – coffee. The lowest price point for a cup of coffee is buying a jar and making your own at home. But when you buy in a cafe the price increases drastically. It’s because you’re no longer just paying for the coffee, but the experience also. Considering the benefits it’s no surprise most retailers are invested in improving their customer experience. 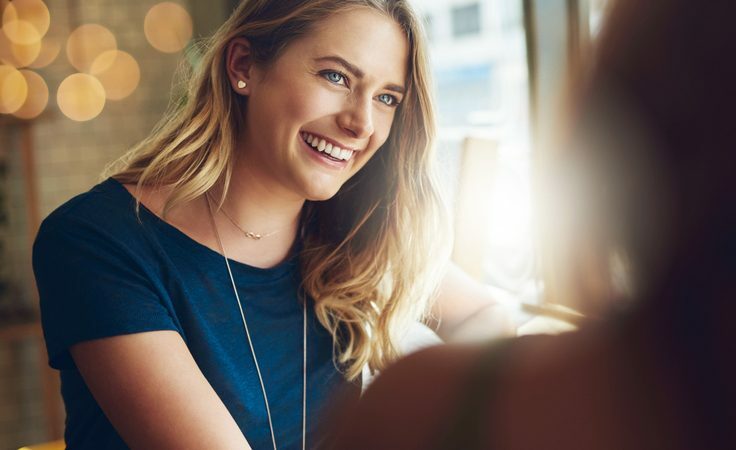 A Qualtrics study conducted with Bain & Company revealed 97 per cent of executives said improving customer experience is very important to achieving or maintaining a competitive advantage. The challenge for retailers is therefore not only to improve the customer experience, but deliver a superior one to your competitors. Companies are starting to recognise that customers have unique needs, beliefs, and motivations. To deliver customer experiences that breakthrough you need to be able to think like your customers, understand their unique point of view, and then translate that into a service reflecting their individual wants and needs. There are multiple design thinking tools available to help retailers step into their customers shoes, including the use of customer journey mapping. Fuelled by data, these tools provide deep insights into the engagement, including the decision-making process and drivers behind certain behaviours, allowing retailers to humanise experiences for their customers and also for their staff. Ultimately, customer journey mapping enables you to create a narrative that summarises behaviour and the reasons for it. Empowered by this fact-based understanding you can identify opportunities for improvement and innovation, and diagnose issues that need to be fixed. Acting on these insights enables you to deliver a superior customer experience – one which your customers might be willing to pay more for. To be successful companies rely on engaged and motivated employees. This means they need to consider the role employees play in the customer experience and optimise the experience of both customers and their employees to be successful. Retailers have started to focus on the quality of employee experiences and exceeding expectations through innovative programs as well as alignment to their core brand values. Customers follow a particular pattern as they decide to interact with your brand – they discover a need, do their research, make a purchase, receive the item, own/use, maintain, and hopefully recommend…until it’s time to buy again. And if you get it right, they come straight back to you. The customer journey map can focus on a customer going through engagements across all four stages, or it could focus on various experiences through a single stage. Each stage should be mapped to a customer persona. Once you’ve identified what part of the customer experience you want to map you then need to list and understand behaviours at the different touchpoints of that journey. At this stage it’s important you identify how the customer moves from one step to the next across online and physical engagements, such as what points did they move freely and at what times were they most vulnerable to leaving. To optimise your customer experience it’s essential to gather feedback at every stage and from every customer – even those that did not complete the buying journey. After all, feedback from happy customers will mostly only tell you what you are doing well, not what you need to improve. Having a holistic understanding allows you to identify pain points and prioritise fixes, identify opportunities for improvement, and plan content and marketing communications for maximum impact. For example, if a retailer is struggling to close online sales a customer journey map allows them to step in and make improvements in the moments that matter. Building Design Thinking capability and using tools like customer journey mapping can positively influence the future experience you deliver. The practice is a great way to build empathy with customers and illustrate your ideal customer experience. It allows you to share the vision for a corporate strategy, plan the rollout of a product or service, identify innovation opportunities, and the infrastructure and capabilities needed to deliver it. It also helps drive organisational change. A customer journey map makes it easier for you to align the business around your customers’ point of view, helping employees and partners understand it from their perspective to deliver a tailored and superior experience. The data you need to deliver a breakthrough customer experience is at your fingertips. You just need to unlock its value. This is achieved by creating a customer journey map for each of the key experiences you provide as a business – onboarding, maintaining, using/owning, and renewal. Fuelled by these insights you’re able to optimise experiences in the moments that matter, helping you grow profits, boost loyalty and advocacy, and improve brand awareness in noisy marketplaces.